a while since you wrote this, but … ISTM the longer lines are better suited to hydrogen, which ATM has a much greater range than stand-alone batteries. https://www.theengineer.co.uk/alstom-liverpool-hydrogen-train-trials/ mentioned tests on Lpool-Chester. This particular stretch is already roughly half electrified (Runcorn-Lpool), so an overhead/battery train would be well suited to this. But the longer-term aim is run trains from Lpool into N Wales, and the further you go from the electrified section, the less well this would work, given the length of time it would take to recharge the battery. Hydrogen could come from Merseyside’s refineries, as mentioned in the article, or produced from a wind turbine somewhere along the N Wales line. This is what the first German line to use the iLint is planning: build a wind turbine at Bremervoerde, which would power electrolysis to feed a hydrogen ‘filling station’ for the trains. The same would apply to the north of Scotland, which already has plenty of wind/hydro power which could be used to create ‘free’ hydrogen for trains. I very much feel that Liverpool North Wales is a possibility for hydrogen, although Transport for Wales have already bought a lot of CAF diesels. INEOS at Runcorn have a hydrogen problem. Too much of the stuff. They are actually looking to inject it into the gas network of Liverpool and Manchester for high energy users. I also used to work in the plant there in the 1960s, so I knew it well. I wouldn’t be surprised to see a mixture of all technologies coming together to create an efficient electric railway. yes, another of the iLint lines in Germany, in the Taunus N and W of Frankfurt, is similarly looking to get hydrogen from the large chems industry in Hoechst. As one of the comments in that article points out, such industries might even pay Alstom to take the stuff away! Most of the services in Wales outside the proposed metro area look like hydrogen candidates to me. The weakness of current batteries is not only the limited range, but the length of time it takes to recharge. Most scheduled stops at stations are only a minute or two, which I would doubt would make much inroads. Where you could use batteries is in the shorter lines. With Chester-Crewe, there are overhead wires on the Crewe platforms (which extend a couple of km to the depot), and a 3rd-rail on the Chester platforms could recharge at that end (the existing Merseyrail rails are on the other side of the station, so you’d have to cross the tracks to use them). 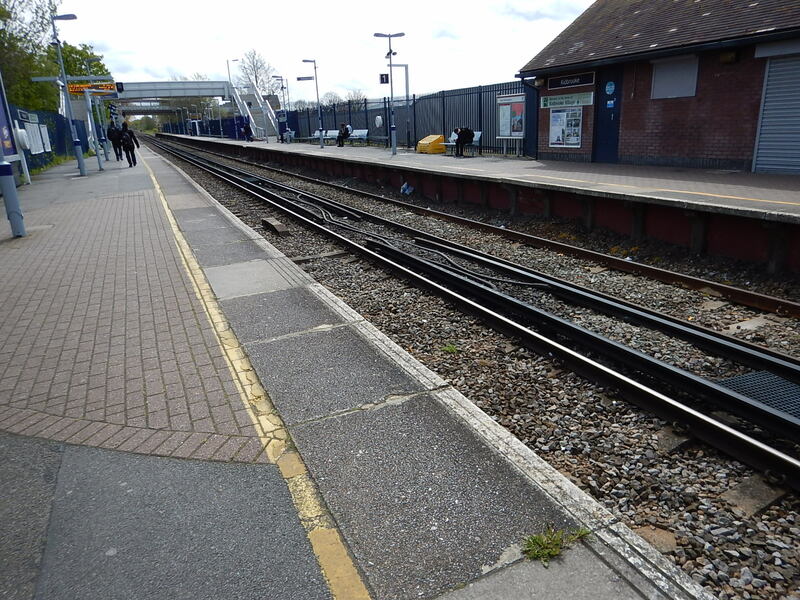 Similarly with Bidston-Wrexham, you have 3rd-rail at B (or alternatively run round the Liverpool loop), and could install one at the Wrexham end too. In these cases, the stop at the stations should be long enough for recharging. Not sure this has much advantage over hydrogen though, which is essentially a drop-in replacement for diesel with the big advantage that it can be generated from renewables. We will see. 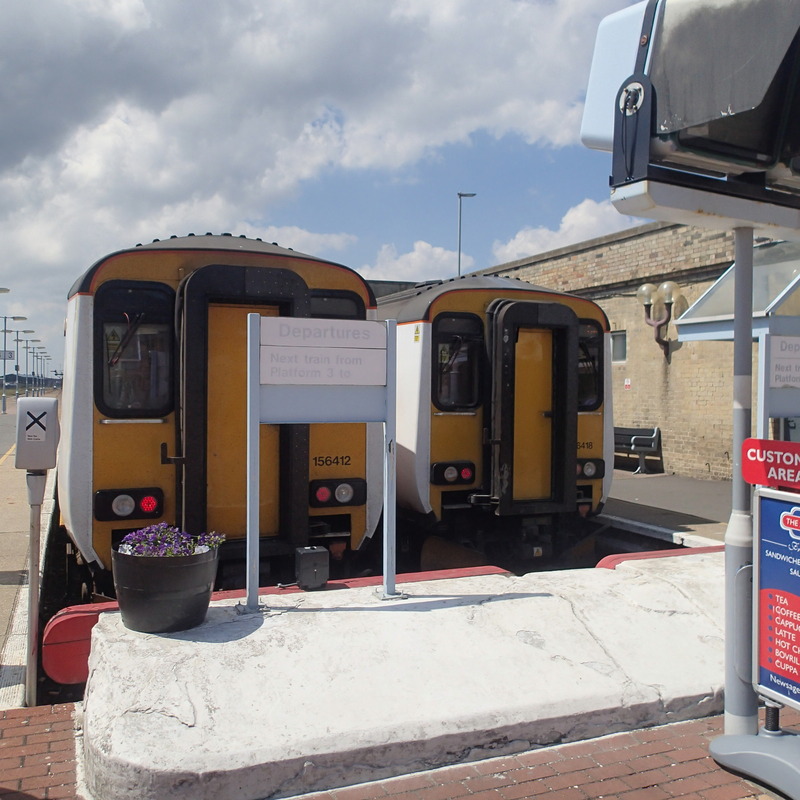 An advantage of the Vivarail units that will be used on these lines is that the power module is designed to be swappable relatively easily, so they can start off with diesel/battery hybrid and replace with better batteries or other configurations later. Trains and buses are much easier for hydrogen than private cars, as they simply need a power supply at the depot, whereas for cars you need a network of filling stations like the current fossil fuel ones. I also think INEOS will be supportive, as they seem to be developing several plans across the world to use hydrogen profitably!